Family and colleagues of Drummer Lee Rigby have distanced themselves from “extremist” groups using his brutal murder as an excuse to commit violence and make political gains. The condemnation comes as a blow to groups planning to hold a series of marches across the country tomorrow. The English Defence League and the British National Party have both planned nearly 60 different demonstrations across Britain and anti-fascists have vowed to oppose them. 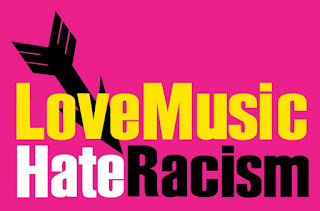 Unite Against Fascism and Hope Not Hate both toldThe Independent they would be in London to counter demonstrations by the two groups, while large EDL marches are also expected in Leeds and Manchester. But the young soldier's relatives urged mourners to show their respect in a “peaceful manner” amid increased tensions between political and religious groups. In a statement released through the Ministry of Defence, family members including his mother Lyn, stepfather Ian, wife Rebecca and son Jack, said: “We would like to emphasise that Lee would not want people to use his name as an excuse to carry out attacks against others. Far-Right, extremist organisations (English Defence League in particular) will seize any opportunity to align veterans with their cause. Veterans should be strongly discouraged from wearing regimental headdress or accoutrements if they are attending events organised or affiliated with extremist organisations. It also made clear that serving soldiers were barred from taking an “active part in the affairs of any political organisation, party or movement and they are not to participate in political marches or demonstrations”. I want to make absolutely clear the Regiment’s view on this. The hackle and the Regiment is not to be associated with any organisations which seek to exploit the death of one of our Regimental family for a range of self-serving and unhelpful reasons. It is wrong and disgraceful that the death of one of our own should be exploited in this manner and that dishonour, by wrongful association, is brought onto the Regiment. We are to remain dignified with our heads held high and respect Fusilier Rigby in the way we have all our dead; with honour and pride. And there was a further blow for EDL leader Stephen Yaxley-Lennon, aka Tommy Robinson, when a serving soldier - who had proposed taking his place on a sponsored walk in aid of Help for Heroes after the charity refused EDL donations – withdrew his offer. The soldier had been forced to deny racist sympathies over the plan, which he said was simply to ensure the charity did not miss out on money, and eventually announced he was pulling out today. According to newspaper reports, far-right groups are planning their biggest mobilisation for 30 years this weekend with more than 50 demonstrations planned in towns and cities across England. Anti-racism campaigners have branded Saturday a "day of hate" after identifying 55 English Defence League (EDL) events as well a BNP march in London. The East Anglian EDL was advertising five local marches. These were to war memorials in Lowestoft, Dereham, Cambridge, Peterborough and Ipswich, planned for tomorrow, Saturday 1st June, at various times. Comments on the sites still open show considerable confusion about the times of each event. Norwich is conspicuous by its absence from this EDL list. The EDL was outnumbered decisively by local people fed-up with the far right doomsday rhetoric designed to set citizen against citizen when last they marched in Norwich. The EDL is desperate to avoid further humiliation here. Most of the links to the individual EDL marches in our region are not operating today, after embarrassing spelling mistakes, grammatical errors and hateful comments on each site were criticised. NO CHANTING THROUGH OUT THE WALK AND LAYING OF FLOWERS AND FLAGS AND NO DRINKING EITHER. Such directions for a "walk of respect" are unusual. Why are they necessary? One EDL-created site advertising a march in Dereham - without mentioning any connection to the EDL - described how there would be a laying of "reefs". Such slapdash mistakes are funny, but should not distract from the reality that the EDL is a violent organisation wanting to provoke confrontation in our communities. There is a general agreement that these events are seen as the latest attempt by UK far-right groups to exploit the murder of the British soldier Lee Rigby, who was stabbed to death in Woolwich, south-east London, last week. It is going to be a very tense weekend and it represents the biggest far-right mobilisation we have seen in this country for 30 years. Police are aware of a number of demonstrations planned for this weekend. Forces across the country will be working closely with local communities as always to ensure these pass off with minimum disruption. While we will do all we can to facilitate peaceful protest, those taking part should be clear that the police will uphold the law. Anti-racist campaigners are planning "community unity" events in opposition to the EDL and BNP on Saturday. Weyman Bennett from Unite Against Fascism said it was working with faith groups and trade unions to organise wherever the far right gathered. We want to show that we are united in our opposition to the EDL and BNP and their attempt to use the tragic death of this young man for political ends. EDL to march in Cambridge - but what is the English Defence League? 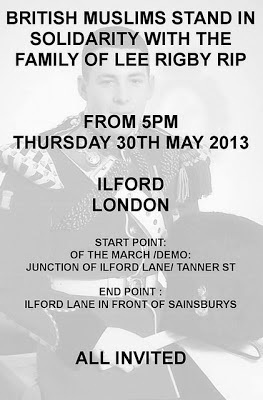 The English Defence League (EDL) is to march in Cambridge this weekend in memory of murdered soldier Lee Rigby. The East Anglian division of the far-right group has said it plans to march to Cambridge’s war memorial in Hills Road on Saturday to lay a wreath for the fallen soldier. The event will clash with one of the city’s biggest celebrations of diversity,Strawberry Fair. The EDL is planning protests in at least 30 locations on Saturday afternoon, after the group’s leadership called for localised events rather than a national demonstration. The English Defence League is a protest group which since its establishment in 2009 has campaigned against what it calls “Islamic Extremism, Islamism and our governments spineless inability to address the issues”. The think-tank Demos estimates the total size of the active membership to be at least 25-35,000 people. Of these, around half have been involved in demonstrations and/or marches, it found. The highest concentration of supporters is to be found around London. In its mission statement on its website, the EDL calls itself “a human rights organisation that was founded in the wake of the shocking actions of a small group of Muslim extremists who, at a homecoming parade in Luton, openly mocked the sacrifices of our service personnel without any fear of censure”. It claims to be fighting back against “religiously-inspired intolerance and barbarity that are thriving amongst certain sections of the Muslim population in Britain: including, but not limited to, the denigration and oppression of women, the molestation of young children, the committing of so-called honour killings, homophobia, anti-Semitism, and continued support for those responsible for terrorist atrocities”. The EDL vows to “continue to work to protect the inalienable rights of all people to protest against radical Islam’s encroachment into the lives of non-Muslims”. Its mission statement adds: “In order to ensure the continuity of our culture and its institutions, the EDL stands opposed to the creeping Islamisation of our country, because intimately related to the spread of Islamic religion is the political desire to implement an undemocratic alternative to our cherished way of life: the sharia”. It goes on to say “we must always protect against the unjust assumption that all Muslims are complicit in or somehow responsible for these crimes,” but “we must not be afraid to speak freely about these issues”. The group claims also to “recognise that Muslims themselves are frequently the main victims of some Islamic traditions and practices”. The EDL has more than 133,000 ‘Likes’ on Facebook – up from just 33,000 in July last year – and more than 28,000 followers on Twitter. This is up from 4,500 last summer. In November 2011 Demos undertook the first ever large-scale empirical study of the EDL, which comprises responses from 1,295 sympathisers and supporters, and includes data on their demographics, involvement in EDL activity, political attitudes and social views. According to Demos, the EDL is “the biggest populist street movement in a generation. Yet the make-up of the group and what its members believe remain a mystery because it has no formal joining procedures or membership list, and much of its activity takes place online”. The think-tank found police and other groups have “often struggled to gauge the scale of threat posed by the EDL, because it is difficult to estimate the relationship between the group’s online membership and its active core of street protesters”. It concluded although the EDL is usually understood as an anti-Islamic or anti-Islamist demonstrating group, the reality is more complex. 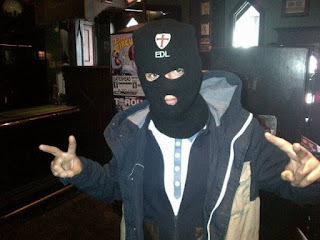 EDL supporters are characterised by intense pessimism about the UK’s future, worries about immigration and joblessness. This is often mixed with a proactive pride in Britain, British history and British values, which they see as being under attack from Islam. The study found “although the group’s leaders claim Islamic extremism is the EDL’s primary raison d’etre, supporters appear to care more about immigration: 42 per cent consider immigration one of the top two issues facing the country, with 31 per cent citing Islamic extremism”. Some 41 per cent of supporters claimed to have joined the EDL because of their views on Islam, while 31 per cent cited love of England, and a commitment to the preservation of traditional national and cultural values. According to research for Chatham House based on a YouGov survey, some 79 per cent of EDL supporters say there will be a ‘clash of civilizations’ between Muslims and white British citizens, which is 30 points higher than the average of 49 per cent. Some 72 per cent of EDL supporters say violence between different groups is ‘largely inevitable’, compared with an average of 46 per cent. The EDL does not have members in the conventional sense, Demos found. Subsequently, the think-tank maintains “it is more accurate to describe the group’s supporters as sub-groups of activists and sympathisers”. Around half of EDL supporters have been involved in demonstrations and/or marches, Demos found. The largest demonstration ever held by the EDL involved approximately between 2,000 and 3,000 people. According to the Chatham House research, between 2009 and 2012 the EDL organised more than 50 street-based demonstrations. These often mobilized between 1,000 and 3,000 activists and led to significant policing costs. Research for Chatham House notes although findings confirm counter-Jihad groups appeal to less well-educated men from the working class, “the picture is far more complex than debates in Europe suggest”. Firstly, supporters are older and more educated than many assume. Only 16 per cent are aged between 18 and 29, while most are over 44 years of age. Demos found 28 per cent of EDL supporters are over 30; some 30 per cent are educated to university or college level; and 15 per cent have a professional qualification. There are far more male supporters than female: 81 per cent are male and 19 per cent female. But Channel 4 News notes that compared to other far-right groups like the BNP or the National Front, the EDL attracts many more women supporters. A significant percentage of EDL supporters are unemployed, although this is especially true of older supporters, Demos found. Among 16 to 24-year-old EDL supporters, 28 per cent are unemployed, compared with a national average of 20 per cent for the same age group. Among 25 to 64-year-old EDL supporters, some 28 per cent are unemployed, compared with a national average of six per cent. Discussing counter-Jihad groups generally, research for Chatham House said: “Supporters are no more dependent than the average in society on (often scarce) social housing. 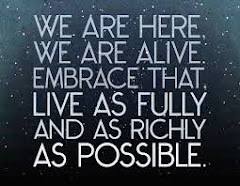 And they are no more likely than average to be unemployed”. Nor are they politically apathetic. “Those in society who are most receptive to the defence leagues are far from satisfied with the political status quo. They are consistently more dissatisfied than the average citizen with politics, more distrustful of institutions and more likely to think that the political system has serious faults that need addressing”. And while “those drawn into the orbit of movements like the EDL are extreme in their views towards Islam and Muslims”, these anxieties “only partially explain the nature of the counter-Jihad challenge”. Findings “indicate that the EDL and similar groups in Europe are reaching out to citizens who are actually more likely than their fellow citizens to express a range of socio-political attitudes: they are more authoritarian in their outlook on society, more hostile towards Islam, more dissatisfied with politics, and especially more hostile towards immigrants and ethnic minorities generally”. More than seven in 10 supporters see immigrants as undermining the national culture, but “only a minority of those who agree with the platform of the EDL endorse classical or ‘biological’ racism”. Instead, evidence suggests “they feel that ethnic minorities and immigrants are being prioritized by elites at the expense of native citizens”. EDL leader Tommy Robinson told Channel 4 News earlier this week the EDL is not racist: “The truth cannot be racist,” he said. Many vehemently oppose the EDL. Hope Not Hate maintains the EDL is “a racist organisation whose main activity is street demonstrations against the Muslim community”. The group argues “although it (the EDL) claims only to oppose Islamic extremism, it targets the entire Muslim community, and its actions deliberately seek to whip up tensions and violence between Muslim and non-Muslim communities”. 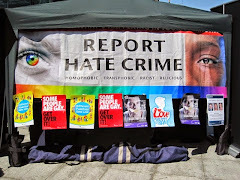 Meanwhile Unite Against Fascism labels the EDL “an organisation of racist thugs with links to the BNP (British National Party)” which “has targeted Muslims and mosques, whipping up hatred, division and violence where it has been allowed to march”. Demos notes some civil society groups have called for the EDL to be banned as an extremist organisation, arguing it ought to be included in the government’s counter-terrorism strategy, CONTEST. Computer hacking network Anonymous yesterday published online a list apparently showing the contact details of EDL members. Names and addresses of more than 200 people from all over the country are on the list. The publication followed an audio message, recorded with a computerised voice and published on YouTube, from Anonymous UK to the EDL. It accused the far-right group of taking “advantage of moments of fear and terror to spread hatred and animosity”. It likened the EDL to a “pack of raving ignoramuses” and said the group’s “constant belligerence” would further “only bigotry and segregation”. You have angered us considerably, and summoned our wrath irrevocably. Others, however, including Maurice Glasman, have called for dialogue to address the "legitimate" concerns of their membership. In April 2011 he said Labour should involve EDL supporters. However, Glasman later told the New Statesman: "It did not cross my mind that anyone could think that I support the English Defence League (EDL), which I consider a thuggish and violent organisation. "When I said in an interview with Progress magazine in April that we should listen to supporters of the EDL, I was arguing that the best way to defeat fascist organisations is to engage with their supporters in a politics of the common good that addresses issues of family housing and safer streets, the living wage and a cap on interest rates." British Muslim groups are organising marches and rally in memory of the soldier Lee Rigby, who died last week in Woolwich. A silent march will be held tomorrow afternoon from 5pm in Ilford, starting at Ilford Junction. A coalition of Muslim and anti-racist groups are organising a separate event for Friday afternoon, to be held in Woolwich. 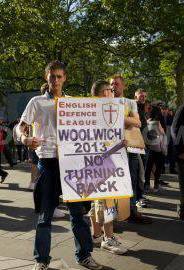 The second march will be held in advance of a BNP demonstration also in Woolwich on Saturday. 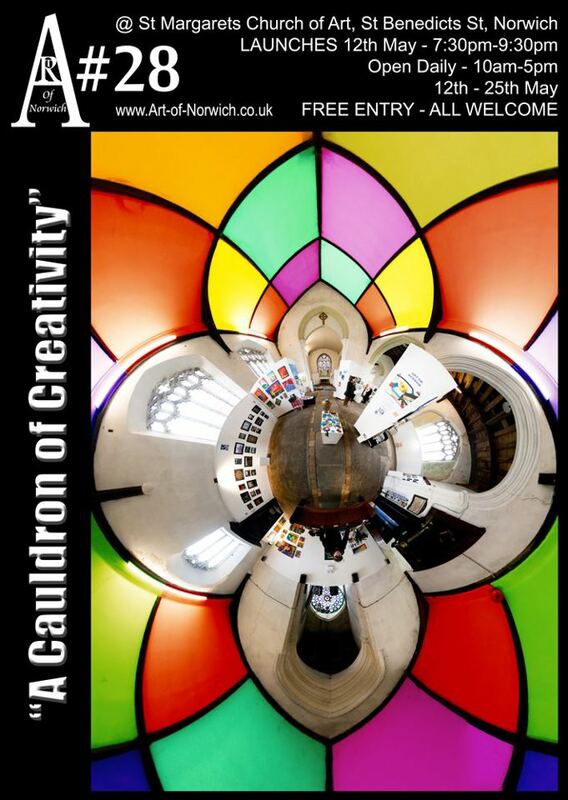 Details of this event should be finalised and released today. Both events are seeking police permission. Someone is organising a "walk of respect" in Dereham for the late Drummer Lee Rigby. On the face of it nothing wrong with local people expressing national outrage at the vile murder of one of our soldiers. But look again and an uglier motive of EDL promotion and self-aggrandisement appears, along with attempts to deceive the public about the true nature of this "walk of respect". EDL thug Sam Burgess (notorious in Norwich for being in a gang that attempted to intimidate young women working at a fast food outlet) is the one who has created this event on Facebook. Nowhere on the event promotional page does Burgess mention that this is planned as an EDL march, although admittedly the instructions not to drink before the event do offer a clue. When an active EDL member organises a public march, and invites his EDL pals, then he should be truthful about it being an EDL event as a basic courtesy to members of the public. SPREAD THE WORD!!! We will be having a walk in Dereham for one of our fallen hero's who was brutally killed in Woolwich last week. We will also be laying flowers and reefs to show our support. Meet time is 12.15pm and the march is at 1 pm please spread the word and get to dereham to show your support for this hero, Bring your flowers to lay at the memorial and bring st George/union jack flags. We don't want anyone drinking prior to this walk or any chanting, just a nice peaceful walk. Can everyone please come and show there support, bring your familes and kids. Its a day to remember for everyone! It seems the local EDL is cynically exploiting the brutal murder of Drummer Lee Rigby, in order to gain support for their hateful and divisive political agenda. Norfolk people are not so easily hoodwinked by the far right. Just as the well-respected charity the Help for Heroes rejected EDL support as politically motivated, then so this local EDL exercise must be shown for what it is, a blatant attempt to gain political support for a violent far right movement through acts of opportunism and deceit. ERRRRRRRRRR so many skets about in Norwich! get out my city you slags! According to this article in the Independent, the word sket meaning "sluttish", is Jamaican in origin. Chew that irony over. The Help for Heroes charity has said it will not accept money raised by English Defence League (EDL) leader Tommy Robinson. The multi-million audience of breakfast television today heard Bryn and Emma Parry, founders of the Help for Heroes charity, firmly reject donations from the leader of the English Defence League (EDL). The couple stressed that they are not interested in politics. A Just Giving website page which Mr Robinson (who also uses the name Stephen Yaxley-Lennon, and who travelled with a passport under the name of Paul Harris) set up after last week's murder of Drummer Lee Rigby in Woolwich was shut down after talks between administrators and the Forces charity. Before it was closed down more than £3,300 had been pledged to the EDL leader, who said he was planning a 17-mile sponsored walk from Westminster to the scene of the killing "to lay a wreath in support of our troops". Help for Heroes is a non-political organisation. This evening, working with the assistance of JustGiving, we closed down a fundraising account which we believe the English Defence League intended to use to donate money to H4H. We acted swiftly to achieve this, and would like to make it clear that we will not accept donations from organisations who attempt to use Help for Heroes to promote their own political agenda. Like everyone, we were shocked by the murder in Woolwich. Like everyone, we just want to help our wounded servicemen, women, veterans and their families. We hope that everyone who cares passionately about this important issue shows that support in a unified and dignified way. Dignity is not a strong feature of EDL antics. The fund raising attempts by the convicted criminal Tommy Robinson/Stephen Yaxley-Lennon/Paul Harris, head of the EDL, smack of cynical exploitation of the tragic murder of Drummer Lee Rigby. The EDL has used this murder to press its hateful agenda of exclusion. EDL demonstrations are blighted by drunken violence and racist speeches inciting violence against fellow citizens, punctuated by the occasional Nazi salute. It is no wonder that a well respected organisation such as the Help for Heroes charity should distance itself from such attempted political opportunism. in what looks like Army fatigues - is this permitted? Help for Heroes (H4H) was founded by Bryn and Emma Parry who were moved to ‘do their bit’ after a visit to Selly Oak Hospital in 2007. It’s not about the rights and wrongs of war, we just want to support those who serve our country and are injured in doing so. An inquiry into the conduct of a newly-elected UKIP county councillor has been launched. The inquiry will focus on Peter Georgiou, county councillor for Thetford West, who is banned from the town’s branch of Poundstretcher, in Minstergate, after an incident on June 3 last year. When the Bury Free Press asked Cllr Georgiou about the incident, he said he had been arrested for alleged shoplifting at the store. He said the incident was dealt with by way of a ‘community resolution’, whereby he agreed to pay for the goods and was banned from the store. He said the incident had been ‘a mistake’ and was the result of medication he was taking for depression. He also admitted that he was ordered to pay HM Revenue and Customs (HMRC) around £4,000 earlier in 2012 after selling tobacco without having paid duty. He said he sold the tobacco because he was out of work. “I couldn’t claim unemployment because I was self-employed. I was short of money,” he said. Neither incident resulted in a criminal charge. Cllr Georgiou was elected on May 3, beating Labour candidate Terry Jermy by a single vote. He claimed he had told UKIP South West Norfolk about the incidents before being chosen as a candidate. But Tony Allison, chairman of UKIP South West Norfolk, claimed the party had no knowledge of the incidents. He said: “He signed a form on taking membership that said that if there was anything that would bring the party into disrepute that we should be told. “This is the first I’ve heard of it – I was aware of none of this,” he said. A spokesman for Norfolk County Council confirmed that the council had also received two inquiries from residents as to Cllr Georgiou’s eligibility to serve as a councillor. Cllr Georgiou’s election win was the last division to be decided in Norfolk. It meant that UKIP took 15 seats to Labour’s 14, making it the opposition group. 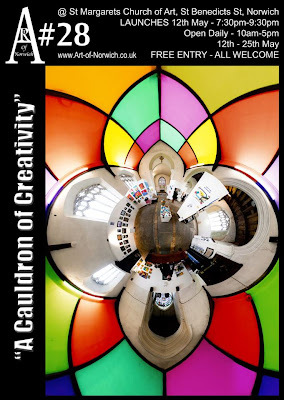 Live music from Sancho Blanco, Kimberley Moore, Broken Window Effect, The Mighty Whispers, Moxy Gerban, Jonathan Marriott, Sugar Mouse, ACivilianInvention and Girl in a Thunderbolt. DJs Jules, Wellings, Jasmine and StayRed to spin some fantastic tracks. Rousing words from local and national speakers. Launch of "Keep Norwich Fascist Free" Campaign. We are Norwich strongly condemns the appalling murder of a man today in Woolwich. We also strongly condemn any racist or fascist group who try to hijack this atrocity with bigotry and violence in an attempt to stoke racial tensions for their own political gain. At the time of writing this statement too few details exist to make well founded judgements and We are Norwich asks everyone to remain calm. We as a group will not let an entire community come under attack because of a minority of radicals. We need to look at the facts: Islamic terrorist attacks account for fewer than 100 deaths in the UK, a figure which is clearly too high. But, in recent years, we've seen the IRA admit to the death of 1,800 “non-combatants” alone. Anders Breivik, a Christian, murdered nearly 70 mostly young people on and around the island of Utøya, Norway and we've seen reported many, many school shootings by mostly white, non-Muslim people in the United States. At no point do we intend to protect any murder or act of terrorism, but it is clear that the real enemy is not Islam but extremism. It was Mayor-Making day at City Hall yesterday and Norwich Pride were invited. 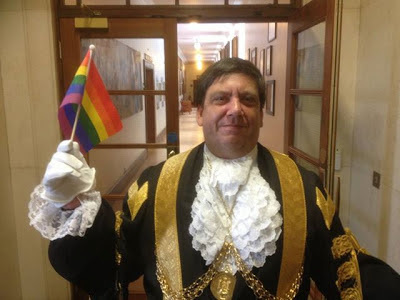 We took the opportunity to say hi to new Lord Mayor Keith Driver and got him to practise waving the rainbow flag, ready for the 5th Norwich Pride on Saturday 27th July. He will be at Chapelfield Gardens at 2pm to give a rousing speech to see the Parade off and then will wave to the crowds from City Hall as the Parade reaches the Forum. And today The The House of Commons has voted to allow gay marriage in England and Wales. Why not? It seems to me that this is a vote for love with responsibility and commitment. It's difficult to understand why some feel so threatened by this great gay affirmation of the institute of marriage as a loving, legal and public bond. 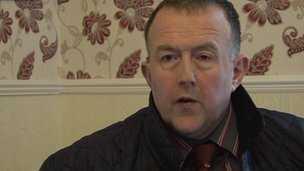 A newly-elected UKIP councillor, at the centre of an investigation into a forged electoral nomination paper, has said he has not "done anything wrong". Jonathon Childs, who won a seat on Norfolk County Council, reported ahead of the 2 May election that the signature on his form was not his. The Conservatives lost overall control of the council and UKIP became the second largest party. Norfolk Police said its malpractice investigation was continuing. Speaking for the first time since his election, Mr Childs said: "I've been vilified as being a forger and I'm disgusted with it all because I haven't done anything wrong." He said he went to see the council returning officer because he had "heard a rumour" there was something wrong with his form. He still stood for election after the returning officer declared the nomination was valid. Mr Childs won the East Flegg ward near Great Yarmouth, beating the sitting Conservative candidate Jim Shrimplin into second place. The Tories needed 43 seats to retain control of the 84-seat council but only won 40. UKIP won 15 seats, Labour won 14, the Liberal Democrats won 10, the Greens won four and there was one independent councillor. I was in a daze, because I had signed nomination papers and it's a mystery to me.If I hadn't gone down there, I think it would have been wrong and I stand by my conscience that I did the correct thing.If a crime has been committed, I want the full weight of the judicial system levied against the perpetrator. A police investigation into electoral malpractice is ongoing and the allegations are that one or more signatures on nomination papers were forged. Today we walked with the Eastern Legal Support Trust and other legal organisations in Norfolk to raise funds for our charity.Our staff and volunteers do a fantastic job in giving legal advice to people who cannot access it elsewhere, on a range of matters including housing, debt and discrimination. These funds will help us to continue operating this valuable service for the local community in Norfolk. Please donate as generously as you are able - it is not too late to support our walkers. 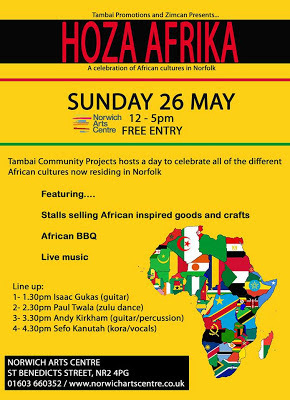 Please note that all funds raised via the webpage will be donated to Norfolk Community Law Service without deduction.